Last month, Washington, D.C. became the first city in the world to receive a LEED for Cities Platinum leadership certification, the highest award bestowed upon cities by the U.S. Green Building Council (USGBC). D.C. has 120 LEED-certified projects, with 29.04 square feet of LEED space per resident, far ahead of the top LEED state, Massachusetts, with 3.73 square feet of LEED space per resident. What the office/corporate culture, or in this case, the district’s culture, is like towards sustainability translates into action… or not. Report after report has backed this up. In one survey of business leaders from 2013, 44% said that engagement with business leadership was the most important factor in successfully implementing a sustainability strategy. The survey also noted that a top-down approach, would not work unless the company put sustainability at the heart of its operations. D.C. obviously has put sustainability at its heart. Great Forest’s Mid-Atlantic office is in the thick of things in D.C., performing hundreds of LEED waste stream and custodial effectiveness audits for a range of businesses and buildings, from corporations to hotels to retail outlets, as well as municipalities, haulers, facilities management and janitorial companies, and even the USGBC itself!. “D.C. is now leading the nation by example. And that’s thanks to all the committed buildings and businesses in the district doing their part, not just with new buildings as required by law, but also with existing buildings. We are seeing an increase in demand for waste audits and tracking. 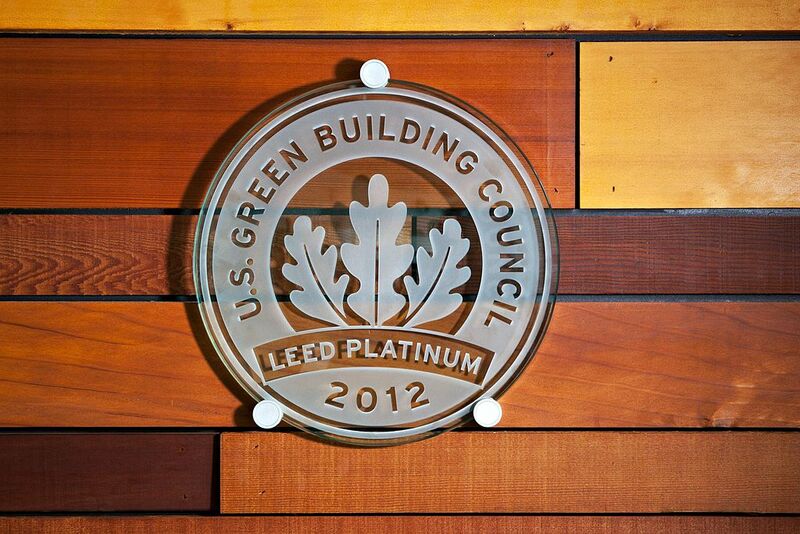 Building and business owners want to know where they stand in relation to the LEED gold standard,” says David. With waste management being one of the biggest pieces of the sustainability puzzle, the impact it can make is sizable. Moreover, data from waste audits and tracking is useful not just for LEED certification but also for GBCI certification. They provide insight into a building or businesses’s operation to reveal what’s working and what’s not, and also gives a clearer picture of the level of tenant participation. With good data, there is no need for guesswork. This is something D.C. understands.